To stand your ground as a 21st century champion consumer, you need to be as smart and clever as the companies themselves. The law changed. The Consumer Rights Act came into force on 1 Oct 2015. This guide focuses on your rights for items purchased after 1 Oct 2015 - but where the rules differ for items bought before then we've made it clear. Got a complaint about a financial product? This guide covers complaints about consumer goods or services. Instead, see our guide on Your Financial Rights. Everyone needs to know their basic statutory rights for shopping – in other words, the rights you have by law which a shop can't change. See the main Consumer Rights guide for full details. When complaining, don't get mad. You're more likely to get results being cool, calm and rational than if you are ranting and raving. Throw a temper tantrum and the company may be perfectly happy to lose your custom to get rid of you which makes the fight tougher. Do you want compensation and, if so, what kind? Do you want money over and above just fixing or replacing a product for the time or distress you've been caused? While this can happen, it certainly complicates things so be reasonable and be sure you genuinely feel you've been unfairly put out. Bought something prior to 1 Oct 2015? Digital content wasn't covered separately prior to 1 Oct - it was just treated as a good or service (for example, a Blu-ray would count as a good, while downloaded music would count as a service). So the usual rights for goods or services would apply. 1. Are you returning the goods within 30 days? This right applies to all goods unless they are likely to perish within 30 days, when the time limit becomes the date the item is expected to perish, for example the use-by date for food. If you act within this time, and you send the goods back if asked by the trader, you’re entitled to a full refund. The refund needs to be paid without any delays and within 14 days at the most. After 30 days have elapsed though, you lose the right to reject the goods and you'll have fewer rights. What to expect: A full refund, unless you've altered something - for example, if you've taken up the hem of a dress or unlocked your phone handset to switch it to another network. Bought something prior to 1 Oct 2015? Under the Sale of Goods Act you have a 'reasonable length of time' rather than the fixed 30-day period to return items and get a full refund. When goods are faulty, if you try to return them within six months then the shop has to prove they weren't faulty when you bought them. What to expect: You can ask for either a repair or replacement, though the retailer can say no if it's impossible to carry out or the cost of your choice is much higher than them for the alternative. If the item is still dodgy after just one attempt at a repair or replacement, the repair or replacement isn’t possible or it hasn’t been carried out quickly enough, you’re then entitled to ask for a refund. Within the first six months this could be the full amount. Bought something prior to 1 Oct 2015? You're able to choose repair, replacement or a partial refund. Whether to ask for a repair or replacement is your choice. Yet the retailer could say no if the cost of repair or replacement is too high and they could instead offer compensation; usually a partial refund or credit note. Over six months, and it's more important for you to prove the good or service was faulty when you bought it. Yet there's another piece of legislation called the Limitation Act (it's the Prescription and Limitation Act in Scotland) that can help you out. This says you have up to six years to complain after you bought a good (five years in Scotland). What to expect: Here, you have the same rights as above, ie, your choice of repair or replacement or a partial refund if this doesn’t work out. However, the partial refund can be reduced to take account of the use you’ve had of the item above and beyond six months, so you’ll get much less back if you’ve had something for five years rather than one year. There’s one exclusion to the ‘deduction for use’ rule and that’s for motor vehicles. If you’re returning a car, motorcycle or other vehicle the partial refund can include time prior to the six-month deadline. In both cases – before and after six months – you’re also entitled to ask for other remedies or damages. This generally means you should be put back into the same position you were in before things went wrong. As well as your partial refund this can include compensation for your time and other expenses incurred. Bought something prior to 1 Oct 2015? You are asking for damages, which generally mean you should be put back into the same position you were in before things went wrong. It is likely to mean a partial refund, but it could also include compensation for your time and other expenses incurred. If you have an old item that's faulty and over six years old, your chances of winning a complaint are slim, unless you have a longer guarantee. Yet if you think something should last longer, such as a car or a new roof, you still have the right to complain - but success is likely to come down to your negotiation skills. I heard I will also be protected by EU laws, is that true? An EU law gives the right of a two-year guarantee on goods, but technically, it hasn't been adopted in the UK. Here, our rules actually trump the European Directive as we can challenge retailers for six years after purchase (five in Scotland). Yet if you're having problems getting goods dealt with within two years, mentioning the rule could help you persuade sellers to replace faulty goods outside the usual period. Success is likely to depend on your negotiating skills though. Taking some time to plan your case now is likely to save time and hassle later. Before you start, go though a few simple dos and don'ts to help make your complaint as easy as possible. Bought something prior to 1 Oct 2015? How long you had to check if goods are shoddy, or if a service has been carried out properly, depends on what's reasonable for that specific item. This could be tricky, especially if it's a car or your bank. But the less you use something because of your annoyance, then greater weight is added to your complaint. Be careful about payment, though. If you've not paid in full, beware cancelling payment as the company could continue to chase you, which may hit your Credit Rating. Also record any extra costs you've had to pay, such as phone calls or replacing damaged items, so you can ask for the cash back. Ask to be reimbursed for additional costs. With holidays or fun activities, it's possible to get extra cash for inconvenience or distress. Stash pics and other evidence to back up your case, such as receipts or terms and conditions. Receipts are not essential to have (or give, although nearly all stores do), but proof of purchase usually is, such as a cheque book stub, bank statement or credit card statement. Don't post the originals to sellers, because you'll need a back-up. If the seller is forcing you to pay for something you're not happy to cough up for, you have two options. One is to refuse and suggest they take you to court for the rest. The other, possibly a better option if they have something of yours such as a PC for repair, is to say you are 'paying under protest'. This will help your case if you need to take your complaint to court. If you do pay under protest you should send a letter by registered post as soon as possible explaining the reasons you have paid under protest, or write it on the company's copy of the receipt. Do you have extra protection? If complaining directly isn't working, check whether you have extra cover. If you used a credit card to pay for all or part of a purchase that costs between £100 and £30,000, your card issuer's equally liable for anything that goes wrong, thanks to Section 75 of the Consumer Credit Act. What's crucial to understand here is the way the law is phrased. Having said that, often it's easier and quicker to deal with the retailer. Yet if the retailer goes kaput, it means you can claim the money back from the card company. Plus, even if the problem's just non-delivery or faulty goods, you've the same rights from the credit card company as from the retailer. This also applies to purchases abroad, including things bought online, as well as in the UK, so simply claim directly from the credit card company and save yourself the hassle of contacting a company overseas. See the Section 75 guide for more details about how it works including free template letters. There's a similar, though not as strong, route for purchases on debit cards or on credit cards under £100 spending, via chargeback schemes. See the Chargeback guide for more info. If there are problems with a seller and you've a manufacturer's guarantee, these are in addition to your statutory rights and you can use the guarantee as well as your legal rights. Your contract is with the retailer or service provider, not the product manufacturer, so it is its responsibility to sort it out, providing that the product is breaking your statutory rights. So don't let the retailer fob you off, for example, by saying you must use the guarantee first to send a duff DVD player back to the manufacturer. Guarantees offer a repair or replacement within a fixed time, eg, two years from the date you buy/install. They're handy if a retailer goes bust (see the Company Administration Help guide) or if a pal paid for the item. Warranties are different. They're additional contracts you usually pay for when you buy something. Most warranties are a waste of cash, as they're over-expensive and under-claimed. Yet some multi-appliance policies can make them slightly cheaper. See the Free Warranties guide for ways to get free cover or maximise protection without one. Once you've prepared your case, there are several ways you can try to put right a complaint. Follow the steps below to find the best route to fight for your rights. When starting a complaint it's best to not go militant, unless you have to. The first easy step is to go back to the shop or phone the call centre and explain the problem and your suggested resolution. If you need advice on what to say, see the organisations that can help in the Free One-on-One Help section below. If the company won't help over the phone, the easiest way to take your complaint further is using this free online tool which helps draft your complaint and manage it too. It's totally free, and offered by a firm called Resolver which we like so much, we work with it to help people get complaints justice. What's more, if your complaint isn't resolved by the firm you're complaining too, where possible Resolver will help escalate it too. Download and alter them to fit your complaint. Bought something prior to 1 Oct 2015? If you meet silence or the response is rubbish, write again and be persistent. If the seller offers to fix the fault and it still isn't resolved, you can ask for a refund later. You don't have to accept a deal you're unhappy with. Yet always weigh up any offers against the headache of continuing – and it can sometimes be a real headache! – as if you can't get agreement with the shop, you may need to get legal. Step 3: Can an ombudsman help? If you need to take things further, some industries have an additional level of support via a free to use ombudsman. Ombudsmen, and organisations with similar remits, help with individual complaints, though you must try to sort it with the company first. They can often be confused with other consumer organisations, such as regulators and watchdogs (see a full list in the Who's who section below). If you’ve used the Resolver tool in Step 2 above your complaint will be sent straight to any relevant ombudsman at the right time. If you complained directly, find the best ombudsman for your complaint in the list below. The FOS settles disputes between UK-based financial companies and customers who think they've been treated unfairly. Link: For full info on how it can help, including a guide to completing the forms, see the full Your Financial Rights guide or go direct to the Financial Ombudsman Service website. Resolves issues with water and sewerage companies. Helps to sort issues with members of Cisas (many telephone, mobile and broadband providers). Investigates complaints on how pension schemes are run or administered. It may signpost you to the Pensions Advisory Service first, if it might be able to help resolve your complaint more easily. Can help with complaints against government departments (not local councils) and the NHS, including GPs or dentists. Looks into complaints about legal service providers, from solicitors to barristers to claims management companies, for all service areas including will-writing, conveyancing and more. This all-rounder service can help with a range of sectors. It’s been handling energy (gas, electricity and Green Deal), communications (telephone, mobile and broadband) and property (surveyors, estate agents and letting agents) complaints for several years. Then, in the summer of 2015, it opened its doors to deal with complaints about goods or services across any sectors that aren't currently served by an official Ombudsman scheme. So you could take gripes to it about retailers, second-hand car sellers, and service providers carrying out home maintenance, improvements and installation, for example. Before you take a trader to court, you are expected to try to resolve the matter outside of court first. Hopefully one of the organisations in this guide will be able to help but, if not, it’s expected new schemes will be popping up over the next few months. This is thanks to the Alternative Dispute Resolution Regulations 2015 which say that from 1 October 2015, a trader who can’t resolve a dispute itself must signpost to an organisation who can. There’s one strange twist in this nice new route to redress - the trader doesn’t have to be a member of the scheme it sends you to. Although the hope is that they are! The European Commission lists all of the ADR schemes (you can filter just to show UK ones) that meet the standards set by the regulations, and the list will continue to grow over the next few years. If you can't find one to fit your complaint the Ombudsman Association lists a few more. There are a few trade associations that have the word ‘ombudsman' in their title, but aren't accredited like the examples above. However they may be able to help - see the section below. They include the Double Glazing and Conservatory Ombudsman Scheme (DGCOS), and The Internet Ombudsman. If all else fails and the shop hasn't given you a satisfactory response, don't be disheartened – you have a legal right to fair service. Though the only person who can force action is a County Court judge (Sheriff Court in Scotland). Yet before you get legal on their butts, you're expected to try to resolve things directly. Ideally, send a ‘letter before action’ to say you are going to take them to court. If you don't try, the judge is likely to look unfavourably on your case, so always use the steps above first. Legal action in what's usually known as the "small claims court" is limited to claims under £10,000. If this fits your claim, check the information below. Many people talk of going to the small claims court. Yet it doesn't actually exist – it's actually a system within the civil claims procedure where many sub-£10,000 claims are allocated, where the judge makes the process as informal as possible. In difficult cases, or those above £10,000, you're likely to end up in what's called the 'fast track' or the 'multi-track' system, which is beyond the scope of this guide. See the PDF guide on the HM Courts site for more info. The small claims limit is £10,000 and you have six years to claim in England, Wales and Northern Ireland and five in Scotland. You shouldn't have the other party's costs awarded against you. For more information, and how to make a claim, see the small claims court guide. Knowing where you stand with consumer law can save you a bundle. Yet additional criminal laws also protect consumers. Despite what you might see in The Sopranos or Lock, Stock and Two Smoking Barrels, not every trader is out to steal our cash. But it can pay to be aware of criminal operations in case you run into a shadowy enterprise. Businesses need to have "intentionally misled beyond all doubt" before they are considered criminal. If you suspect a company's breaking these laws report it to the Citizens Advice consumer service and they will pass to the relevant trading standings office. The Consumer Protection from Unfair Trading Regulations 2008, is similar to our civil consumer rights, but takes it a step further by making it a criminal offence for a company to undertake certain unfair practices or carry out aggressive and misleading actions. The regulations are very important and a boon to consumers. They automatically outlaw 31 unfair practices, such as saying you belong to a trade association when you don't, pretending to be a customer (see the Ban for firms posing as happy customers online MSE News story) and competitions with no prizes. Claiming that a trader (including his commercial practices) or a product has been approved, endorsed or authorised by a public or private body when the trader, the commercial practice or the product have not, or making such a claim without complying with the terms of the approval, endorsement or authorisation. Making an invitation to purchase products at a specified price without disclosing the existence of any reasonable grounds the trader may have for believing that he will not be able to offer for supply, or to procure another trader to supply, those products or equivalent products at that price for a period that is, and in quantities that are, reasonable having regard to the product, the scale of advertising of the product and the price offered (bait advertising). (c) demonstrating a defective sample of it, with the intention of promoting a different product (bait and switch). Undertaking to provide after-sales service to consumers with whom the trader has communicated prior to a transaction in a language which is not an official language of the European Economic Area State where the trader is located, and then making such service available only in another language without clearly disclosing this to the consumer before the consumer is committed to the transaction. Presenting rights given to consumers in law as a distinctive feature of the trader’s offer. Using editorial content in the media to promote a product where a trader has paid for the promotion without making that clear in the content or by images or sounds clearly identifiable by the consumer (advertorial). Creating the false impression that after-sales service in relation to a product is available in a European Economic Area State other than the one in which the product is sold. Conducting personal visits to the consumer’s home ignoring the consumer’s request to leave or not to return except in circumstances and to the extent justified to enforce a contractual obligation. Making persistent and unwanted solicitations by telephone, fax, e-mail or other remote media except in circumstances and to the extent justified to enforce a contractual obligation. Demanding immediate or deferred payment for or the return or safekeeping of products supplied by the trader, but not solicited by the consumer, except where the product is a substitute supplied in accordance with regulation 19(7) of the consumer Protection (Distance Selling) Regulations 2000 (inertia selling). Explicitly informing a consumer that if he does not buy the product or service, the trader’s job or livelihood will be in jeopardy. (b) taking any action in relation to claiming the prize or other equivalent benefit is subject to the consumer paying money or incurring a cost. It's also illegal for a company to do something misleading, withhold information to try to mislead you or act aggressively towards you (for example, harassment or even physical force) so that you make a different decision to the one you would have otherwise made. As an example, companies are not allowed to quote the wrong price. Though if it's a mistake, the company does not have to sell it to you dirt-cheap (of course, there's no harm asking). Price errors must be deliberate and systematic to be a crime. Since October 2014 if you buy something from a business that used an unfair or misleading practice you have even stronger rights. As well as the criminal action the authorities can take, you can also take civil action in a county court. If you act within 90 days and can return the goods, delete the digital content or end the service, in most cases you can ask for a full refund. After that time you can get a discount. For items worth less than £5,000 the discount works as follows: you get 25% for minor issues, 50% for a significant issue, 75% for something that’s serious and 100% for very serious cases. You can ask for whichever discount you think applies but it may be down to your individual negotiation skills to get the trader to agree. For items worth over £5,000 the discount is based on the difference between what you paid and what the item is worth. In all cases, if you’ve suffered distress and inconvenience as a result of the problem you can ask for extra compensation. All products and food for consumers must be safe. There are several laws to protect our tums from hazardous grub or exploding electrical goods, but the big one's the Consumer Protection Act. To see which products manufacturers sweep off the shelves, check on the Trading Standards Institute website for recalls. If you suspect any food is harmful, eg, you have a nasty bout of food poisoning after visiting an eatery, tell the environmental health office in your local council. If it finds the food is unsafe following an investigation, it may help you make a civil claim. For unsafe goods - for example, if an exploding cooker wrecks your house - you can sue anyone involved with the product such as the seller, manufacturer or importer. This can be complicated, so it's best to contact the Citizens Advice consumer service to discuss your case. If you've no luck sorting the problem yourself, it's time to bring in the heavies. A raft of organisations work to protect consumers. A few industries have a regulator, some have an ombudsman, others have watchdogs. Here's a quick guide to who's who how they can assist. The main source of help for individual consumer issues is Citizens Advice on 03454 04 05 06. You can also fill in an online form and get an emailed reply or search for your nearest local bureau to get face to face advice. An adviser will give you specific info for your case on how to complain, but may not be able to intervene on your behalf. If you have a problem with a trader elsewhere in the EU, the European Consumer Centre (01268 886 690) may be able to help. There are several other sources you may be able to use for free help such as online information, trade associations or your insurance provider. If you opted for legal cover as part of your home or car insurance policy, check whether it includes free advice for consumer issues. It's worth checking if your insurer has it (to compare, see the Cheap Car Insurance and Cheap Home Insurance guides). Many big employers provide free 24-hour telephone helplines for staff, giving legal advice, amongst other help. Ask your HR department if your organisation has one. Often unions (including Unison and Unite) offer legal advice, while healthcare cashplans usually include a similar perk. There are hundreds of trade associations for specific industries (eg, Abta for travel agents) where members agree to stick to a code of practice. If a company is a member of a trade association (you'll usually be able to tell this from looking on its website), it'll usually try to help resolve your complaint. The Trade Association Forum has a searchable list of most of the associations. The British and Irish Ombudsmen Association may also have info that can help you. Watchdogs do not usually have the power to force action on a company or industry or solve individual complaints. Yet they do encourage consumers to submit complaints, so they can spot areas that may need further investigation. The CMA investigates mergers, markets and makes other enquiries when it appears that competition is not working well in a particular market. 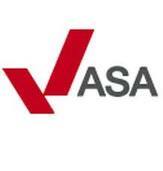 The ASA investigates complaints about misleading, harmful or offensive adverts, direct marketing or sales promotions. It has an online complaints system. The FSA is a Government department set up to oversee food standards law. Regulators have the power to force companies to follow the law, but they don't usually help with individual cases. The FCA regulates most financial service companies including banks, credit providers, insurance companies and financial advisors. It sets the standards they must meet and can take action against firms if they fail to meet the required standards. Each individual council runs a trading standards department for its residents. Each region has slightly different processes and priorities, but they all enforce criminal legislation and some may be able to help with individual cases for people who are vulnerable. Ofgem is the regulator for Britain's gas and electricity industries. It aims to promote competition between the big energy companies and provide choice and value for customers. Ofwat is the regulator of water and sewerage in England and Wales. Ofcom regulates the UK communications industries (television, radio, telecommunications, postal services and wireless communications). Orr regulates the railways provided by Network Rail in Britain. It has a ‘Customer Correspondence Team' that may be able to help with complaints. The CAA is the UK's aviation regulator and covers airline safety and ensuring civil aviation standards are met. It also has a consumer advice line, 020 7453 6888, to help with complaints to airlines or airports. Phonepayplus is the regulator for premium-rate telecommunications services charged to users' phone bills or pre-pay accounts. Here we're talking competitions, TV voting, helplines, adult entertainment, downloads, new alerts or interactive games.